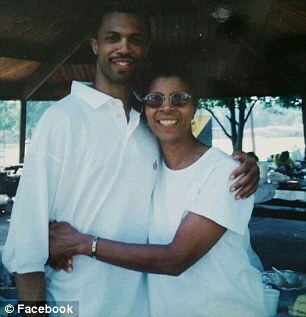 Philip Coleman and his mother. The long-buried footage of Philip Coleman’s fatal confrontation behind bars emerged Monday night amidst continuing protests and probes over two videos showing the deadly police shootings last year of two black men. 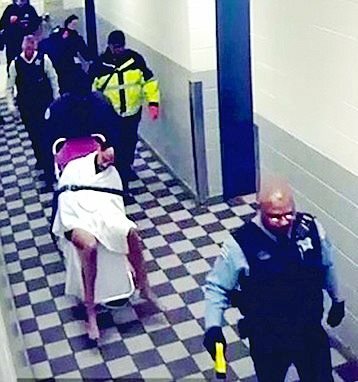 After an apparent confrontation — which cannot be heard on the audio-free video — the six guards swarm Coleman on his cot and repeatedly shoot him with a Taser. The end of the clip shows guards dragging Coleman’s lifeless body by his arms down a hall. Philip Coleman speaking as activist with Rainbow:PUSH. The guards shot Coleman with a Taser 13 times and beat him with batons, according to Coleman’s family lawyer. The alleged beating is not seen in the video. 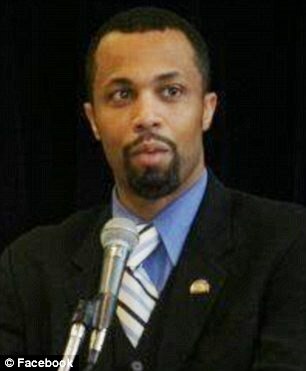 Coleman’s death drew little attention when it happened, and the footage was not released. The guards later said they feared for their safety after Coleman attacked erratically. Police last year cleared them of any wrongdoing and ended an internal investigation. But after the video’s sudden release Monday, Chicago Mayor Rahm Emanuel swiftly condemned the department. “I do not see how the manner in which Mr. Coleman was physically treated could possibly be acceptable,” he said in a statement. Guards cart Philip Coleman to hospital, where he died. The video appeared near the end of one of the police department’s most embattled days during an increasingly tense year. The Justice Department on Monday launched a civil rights investigation into the force, centered on newly released video showing Officer Jason Van Dyke shooting 17-year-old Laquan McDonald 16 times last October. 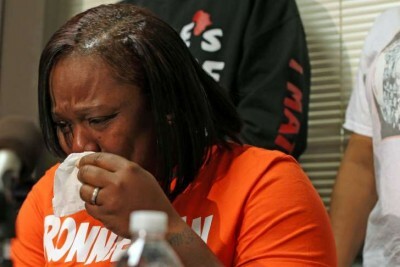 Dorothy Holmes, mother of Ronald Johnson, weeps after cop who killed her son is not charged. Also on Monday, the department cleared Officer George Hernandez for the fatal shooting of 25-year-old Ronald Johnson, just eight days before McDonald’s death. That shooting, which was also caught on camera, sparked similar outcry to McDonald’s death. The McDonald video led to a first-degree murder charge for Van Dyke, the firing of the city’s top cop and fierce protests in the streets of Chicago. Activists and relatives of the victims have accused Chicago cops of covering up for a pattern of racist, deadly tactics.